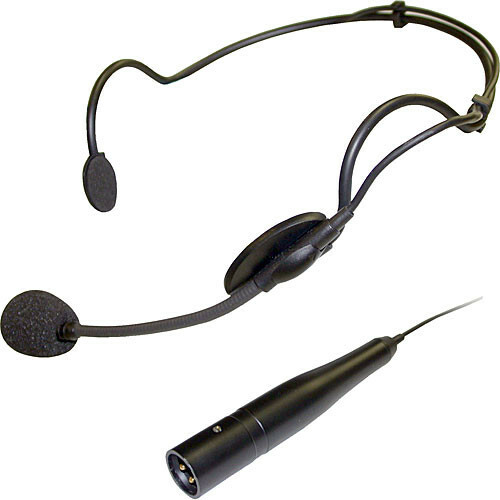 The MIC094 from Williams Sound is a high-quality headset microphone for use with the T35 transmitter. The comfortable, behind-the-head design fits securely for long usage periods. The directional dynamic condenser microphone sits at the end of an adjustable boom arm for precise positioning and offers noise-cancellation to reduce background noise and improve intelligibility. The 39" cable provides plenty of slack, and the XLR plug connects easily to the input jack of the T35. Box Dimensions (LxWxH) 8.0 x 6.313 x 2.375"